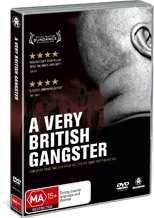 This harsh story revolves around one of the Britain’s most powerful crime families and was written and directed by investigative report Donal MacIntyre that revolves around the exploits of Dominic Noonan. At 39 years of age, Noonan has spent 22 years in prison and does make for a formidable opponent. This story is quite insightful as it gives you a better understanding of the British sense of crime and how the life of Noonan led to him becoming one of the UK’s most dangerous men. Noonan even changed his name to Lattlay Fottfoy which is an acronym for “Look after those that look after you, F**k off those that f**k off you" and one cannot help but feel some connection to this interesting individual who allegedly is now on the straight and narrow as he runs his own security firm. MacIntyre’s A Very British Gangster is a truly insightful movie that almost has parallel links to Australia’s Chopper Reid through the Noonan’s charisma and exploits. Definitely one for lovers of real-world crime figures!